In the file manager, click on the trail file. After clicking to "open", choose the option "Wikiloc". 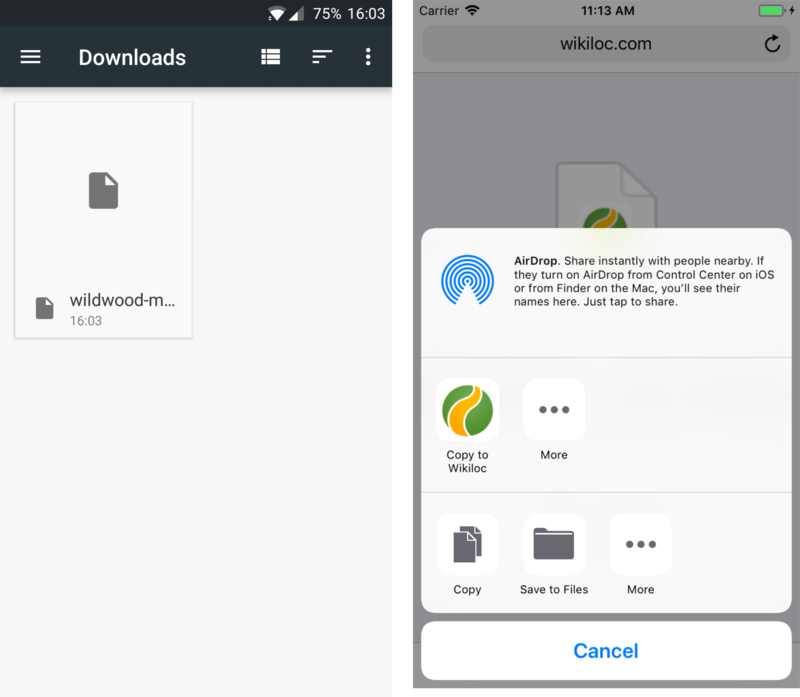 On iOS: Share the .gpx file and choose the option "copy to Wikiloc"